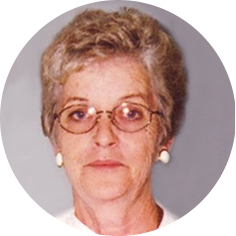 Carol Lynn Fedyk, aged 72 years of Moose Jaw, SK passed away on Monday, November 12th, 2018. She was predeceased by her parents, Lloyd and Gladys Crosby. Carol will be remembered by her loving husband of 54 years, Ken; daughter, Melonie; grandchildren, Kelsey and Carly; step-grandson, Steven (Lisa); as well as numerous other relatives. Carol worked side by side with Ken on the farm until October 4th, 2015 when they moved into Moose Jaw. She was involved in numerous activities in the Ardill community and enjoyed spending time with neighbours and friends. Carol loved celebrating Christmas – decorating and making crafts, but most of all the special times with family. Her commitment to family reunions was always cherished. Carol had a special love for animals which brought a lot of comfort and happiness. The Funeral Service will be held on Monday, November 19th, 2018 at 1:00 p.m. in Moose Jaw Funeral Home. Dave Foley will officiate and interment will take place at Moose Jaw Indoor Columbarium. As an expression of sympathy, donations in Carol’s name may be made to The Lung Association of Saskatchewan, 1231 8th Street East, Saskatoon, SK, S7H 0S5. Arrangements are entrusted to Moose Jaw Funeral Home, 268 Mulberry Lane. Michelle Surtees Funeral Director 306-693-4550. Ken and family. So sorry to hear of Carol’s suffering and for your loss. She was a beautiful woman and her passing will be felt by all that knew her. Our greatest sympathy’s go out to Ken at this trying time. Ken and family – Our thoughts and prayers are with you as we send our sympathy. Carol was a wonderful person and will be missed. Thinking of days gone by and old friends. I’m so sorry to hear of Carol’s passing. My thoughts are with you Ken and family as well as all the Crosby family, who were always very special to me. Take care of each other. Ken, Melonie and the rest of Carol’s family, we would like to extend our deepest sympathy to you on Carol’s passing. Our heartfelt sympathy to all the family in your loss of a very special lady. She leaves many happy memories and will be missed.